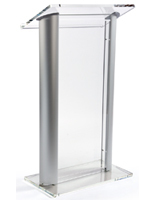 This light gray lectern is a stylish and elegant speakers' podium that will complement any conference room, lecture hall or convention center. 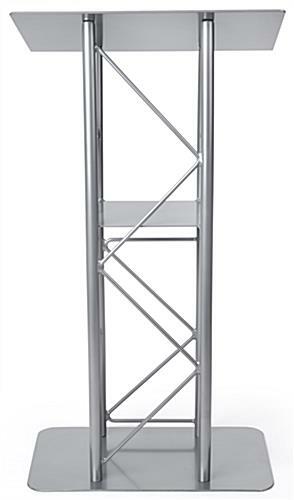 The curved truss-style body and light-colored powder coat finish give this modern industrial style fixture a contemporary look. 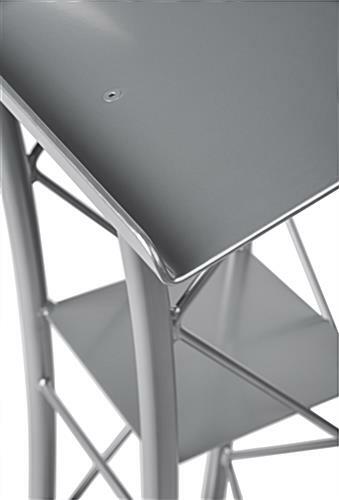 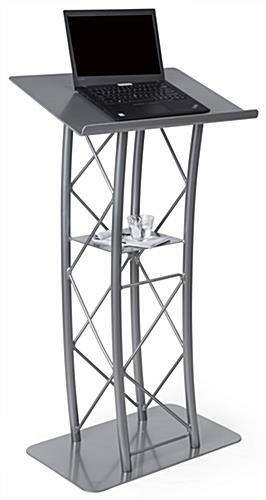 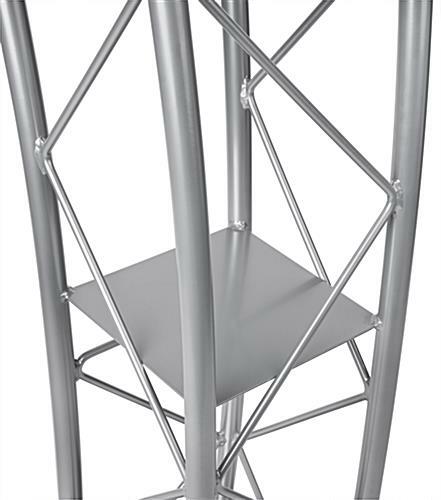 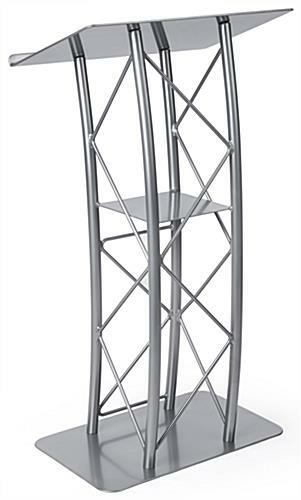 The 45.5" freestanding gray lectern is made from lightweight aluminum with a durable steel frame that provides stability. 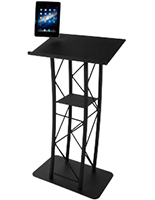 The roomy reading stand measures 23.5"w x 16.5"d with an inch deep book stop deep enough to support notes, folders or handheld tablets. 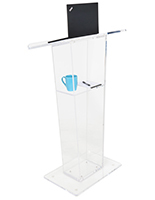 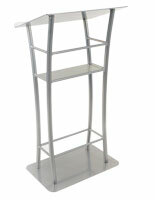 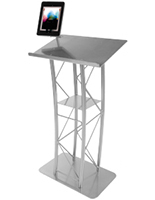 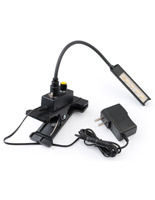 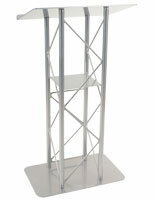 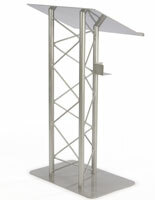 The commercial quality gray lectern also includes a welded-in accessory shelf for additional items. 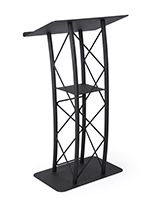 Each freestanding modern podium features a subtly curved design that, in conjunction with the open truss metalwork construction, gives this fixture a contemporary look that will complement businesses, conference halls, churches, assembly areas and more.